This book contains Nano tales by different authors depicting life, motivation and inspiration. 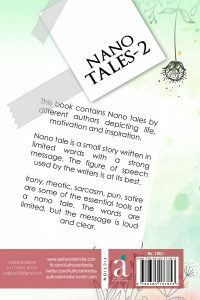 Nano tale is a small story written in limited words with a strong message. The figure of speech used by the writers is at its best. 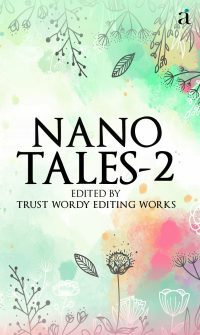 Irony,rheotic,sarcasm,pun,satire are some of the essential tools of a nano tale. The words are limited, but the message is loud and clear.